Pediped, a long-time favourite of Babyology, has just debuted a brand new collection of shoes – aimed squarely at toddlers! Aptly named ‘Grip ‘n’ Go‘, the collection joins the ranks of Pediped‘s other ranges: ‘Originals’ for babies and ‘Flex’ for kids. Known for their ultra supportive, ergonomic and stylish shoes, the Grip ‘n’ Go is no exception. Designed especially for the toddling set (nine months to three years) who are transitioning from early to confident walking, the footwear has soft rubber soles to allow littlies to feel and grip the floor for stability whilst mimicking the natural shape of a child’s foot. I’m a massive fan of Pediped. My daughter has grown up in their shoes, with a collection heading into the double digits. They support her growing feet superbly with soft soles and luxe leather, are very high quality (she wears them day in, day out and not one pair has started to show any signs of falling apart), are comfy and, of course, look fantastic. They always draw compliments and exclamations of “where-did-you-get those-shoes” from passersby. To order a pair of Grip ‘n’ Go shoes for your tot, head to the Pediped webshop where they’re priced from US$45-$49. Pediped doesn’t post to Australia and there aren’t any local stockists for the Grip ‘n’ Go yet, but you can organise a re-shipper for postage to Australia. Or do what I do, get family or friends in the US to help you out! 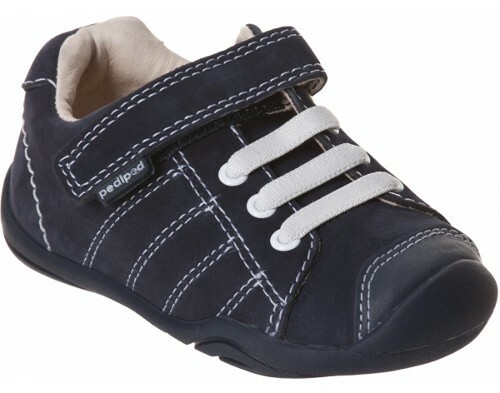 For other styles in the Pediped range available locally, visit Tiny Steps.